Here's a fun activity that's easy to put together, gives the children a chance to be creative, and gives them a chance to work together. It's called Paper Bag Dramatics. You'll need enough paper bags for as many groups you'll have. They can work in pairs or small groups, depending on your group. 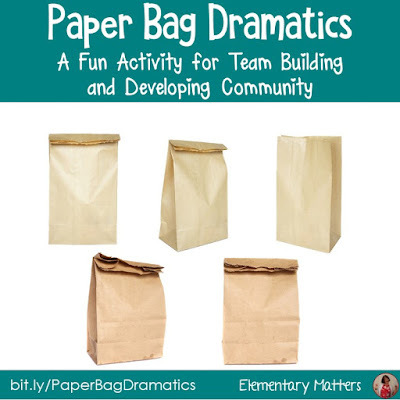 In each paper bag, you'll put a few items.These can be any items you happen to have hanging around.You can make all the bags identical, or totally different, that's up to you! You'll need 3 or 4 items per bag. 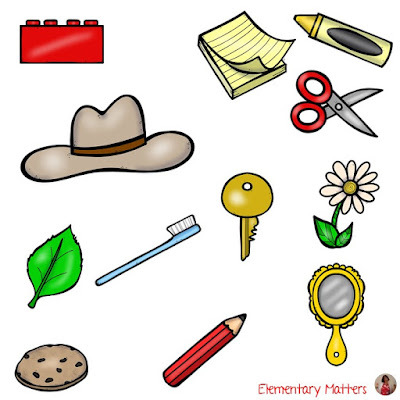 If you want, you can have all the items in the bag follow a theme, possibly including areas of the curriculum! This is the task: Create a skit that includes all the items in the bag. 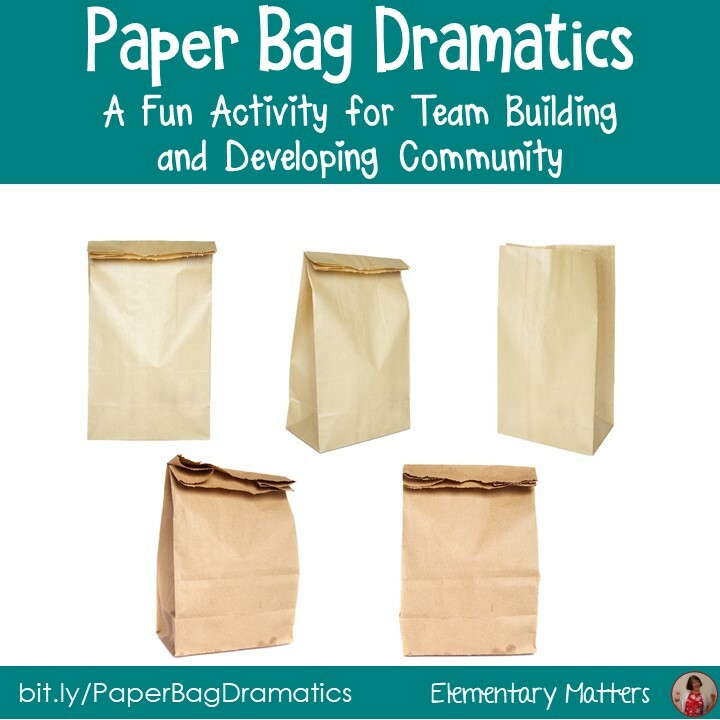 The group will need to write, practice, and perform the play for their classmates. 1. The time allowed really depends on your group. It's more likely that older groups will require more time than younger groups. 2. Make sure each group plans a beginning, middle, and especially an ending for their skit. 3. Make some ground rules before you begin: one person speaking at a time, someone to write down ideas, what to do if there is a disagreement, and, of course, using good manners. 4. Resist the urge to "help". This challenge is all about problem solving, so let them solve problems as much as they can. I can't help but remember the comments of one of my former students concerning problems in a group project: "We argued at first, then we started listening to each other, and we worked it out." It was one of those moments you really wish an administrator were there! 5. Don't forget to allow time for bows and lots of applause! 6. After all performances, debrief by having the children discuss questions such as: What did your group do well? What was tough for your group? What do you wish you had done differently? What do you want to remember next time you work with a group? 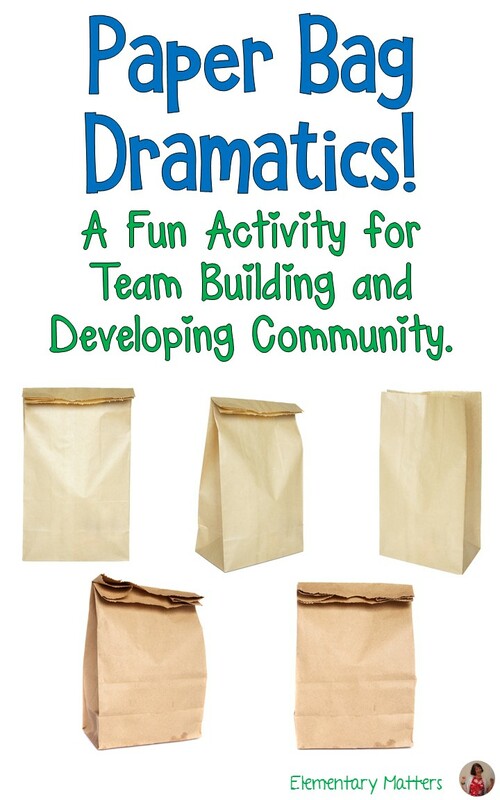 Enjoy your Paper Bag Dramatics!